I watched Nigeria’s victory yesterday with great delight. 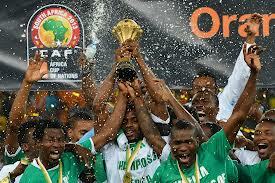 I must admit that after they defeated Cote dIvoire in quarter-finals. I already felt that Nigeria would be the winners and honestly, the Stallions of Burkina Faso were no match to the Super Eagles of Nigeria. I am also delighted because this was Nigerias first victory since 1994 (19 years), and Stephen Keshi has become the first man to win the African Cup of Nations both as a player and as a coach. Truly the victory should be dedicated to him, and his hard work. He started coaching Togo and qualified them to the world cup in 2010, and once the Togolese were qualified they sacked him to hire a European coach. Keshi went on to coach Mali, and now his beloved country Nigeria. 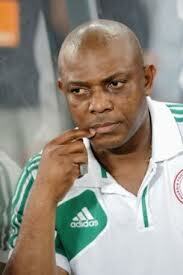 At first the Nigerian federation did not want to give him the job, but it is hard to deny Keshi’s greatness. They finally gave him the job, and then did not pay him for 2 months prior to the cup (the Nigerian federation would have never dared doing that to a European coach). I am truly happy for Keshi, who, this week again, mentioned the fact that Africans coaches were just as good as European coaches, and could manage African teams and lead them to greatness. He did just that to a team which had known no real success since 1994 he redeemed Nigerias super eagles, and showed to everyone that Africans could and should trust African coaches just like the Egyptians used to trust Hassan Shehata who led them to three successive African Nationss cup (2006, 2008, and 2010). Truly, I dedicate this victory to Stephen Keshi, and to all the African coaches who love their country and only dream of being given the chance to take their countries to greatest heights. Just for fun, somebody said on BBC, that whenever Cameroon was not at the cup, Nigeria won… I didn’t know that we were the “bete noire” of Nigeria. I guess everyone knows their strongest opponents… even footballers!